SCOTTY Cam was knocking back beers at his local, still covered in the dust of a hard day's graft, when a stranger approached him with a bizarre request. "This bloke came into the pub and he was having a drink with his girlfriend, and he asked if I wanted to do a screen test for a TV show," he said. That was 16 years ago and the show was Backyard Blitz, but Cam thought the offer was ludicrous. He politely declined, polished off the dregs of his schooner and headed home. The producer, so impressed by the carpenter's lubricated banter, first checked the car park and scribbled down the phone number plastered on the side of his ute. He called the next day and his persistence paid off. A few hours later, the cameras were rolling at Cam's worksite and he was told he had the job. 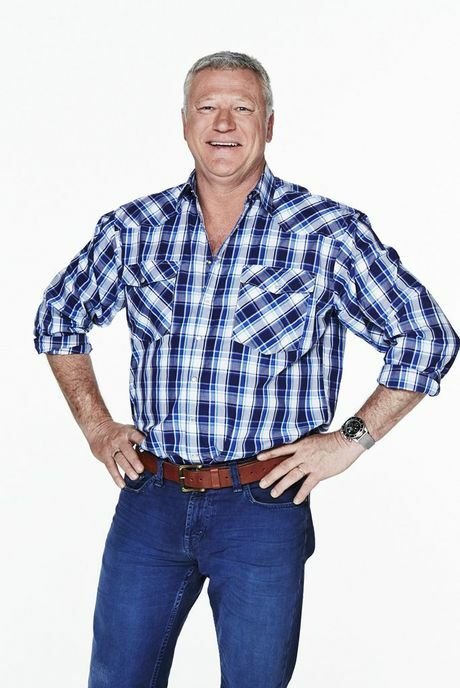 Fast-forward to 2015 and he has a Gold Logie Award under his belt (which he turned into a bottle opener) and a job hosting one of the highest-rating television shows in the country, renovation reality hit, The Block. "I don't think it's changed me as a person. I drive a better ute these days, that's about it," Cam said. "I just be myself, a carpenter. I'm getting a better hourly rate than I used to." Sitting on a saw horse in the workshop at his Vaucluse home in Sydney, the tradie-turned-celebrity attributed his success to equal parts hard work and good fortune - with a dash of Australia's love for the larrikin thrown in for good measure. His passion for Australian culture goes deeper than beer and meat pies, and he is a firm believer knowledge of the country's history should be mandatorily drummed into every schoolchild in the nation. It is no coincidence his home sits across the road from the mausoleum in which William Charles Wentworth's body lies, nor that he lives next door to the pioneering poet, journalist and explorer's former home. Alongside his father, who died 30 years ago, Wentworth is Cam's biggest hero - a man who personified the Australian spirit of never giving up, even under extreme circumstances. "I think we're strong, and we've got backbone," he said. "Everyone talks about Aussies being laid-back and easy-going, which we are, but we're also historically resilient and a strong nation and a hard-fought nation. "Australia started on an oily rag. When they arrived in 1788, we started with nothing." In the coming year, Cam plans to launch a new television project focusing on the country's history and Australiana - the details of which he was keeping close to his chest. "I'll keep that secret for now," he said. Watching the aftermath of the Sydney siege unfold on television was an emotional time for all Australians, Cam said. But it made him wonder about why we had such strong reactions to some events, while others, equally horrific, went relatively unnoticed. "I'm not being flippant, but if it had been just a domestic siege, or a normal siege where two people died, I don't think we would have got that outpouring of grief," he said. "It gave the Australian community a bit of a voice to say we're not into this, we don't want to be part of this." 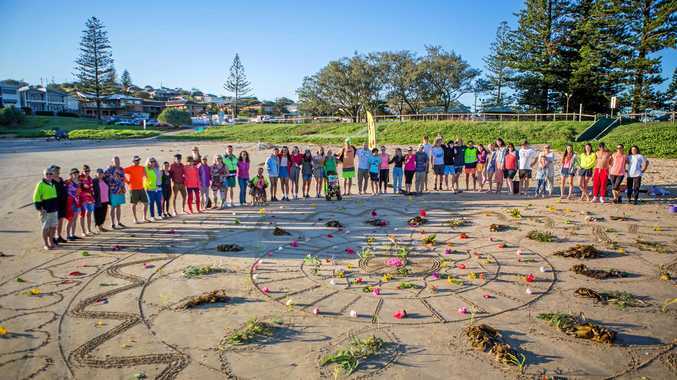 He said the culture forged through blood, sweat and tears since Captain James Cook lowered the Endeavour's anchor at Botany Bay in 1770 needed to be protected. "I think certain portions of our way of life are being attacked, and we need to hold strong and not live in fear, and keep Australia as it is," he said. "I welcome all people from all over the world to come to Australia. "We're a multicultural society but we just need to make sure we keep our way of life and our freedom." Cam's father taught him two things he will never forget, and he has tried to instil the same lessons in his two sons and daughter. "The old man taught me about work ethic and a good handshake - look people in the eye and shake hard," he said. He also taught him humility, a trait often lacking when stars get too accustomed to being fawned over. "There is a bit of preciousness in telly, a few divas and things like that," he said. "I don't get caught up in all that nonsense. "I'm never late to anything and I do what I'm asked to do, and I do the best I can." He said the best advice he could give to someone trying to break into the television - and a few who had already made it - was to "get your own bottle of water". "As soon as you walk in the door, someone says, 'Would you like a water?'" he said. "And the water's right there. "Try and be a little bit self-sufficient and don't believe all that hype that's floating around with people patting you on the back. "They're just being nice because they're told to be." For the most part, Cam said the stars he met were a good bunch - with one luminary of Australian TV standing above the best. He still has to pinch himself when the phone rings and Bert Newton is on the other end, full of compliments and trademark wit. "I grew up with Bert, watching him and loving him and thinking he was hilarious," he said. "And then Bert and I became friends when I started working in television. "To be friends with Bert Newton is crazy, it's just off the charts." He said the patriarch of Australian entertainment set the standard for how to forge a lifelong career in the spotlight without falling victim to ego. "Bert has never been threatened by any newcomers coming through the ranks," he said. "Of course, Bert's never going to go off the radar. Apprentices across Australia have always been in the firing line for rite-of-passage pranks from the tradesmen they work under, and a 17-year-old Cam was no different. He remembers being sent to the local pie shop as a trainee carpenter with a list of snacks for lunch. "It was two pies, a sausage roll and sauce, a custard tart and a 'randy' tart, which I read off my list," he laughed. The elderly lady behind the counter did not see as much humour in the bawdy request as Cam did. "When I look back at that, I think it's so clever and funny," he said. Cam is one of Australia's best-known dog lovers, and his two kelpie-crosses, Lizzie and Rosie, have become some of the most famous canines in the country. Lizzie appeared in every episode of Backyard Blitz until she died in 2004, but she still stands guard over the Cam family every night. "I kept her. She was too good to be buried, so I had her stuffed and she sits at the top of the stairs," Cam said. "I give her a pat every night when I come home up the stairs and say g'day to her. "I've had dogs since the day I was born, so 50 years I've had a dog. "Rosie is an absolute cracker. 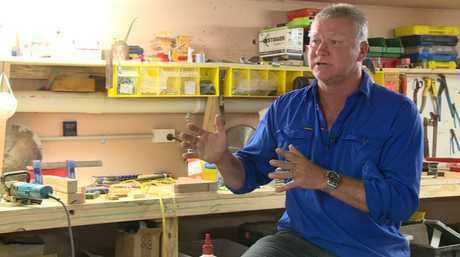 "Tradesmen spend so much time by themselves, driving around in their utes and going from job to job. "Having a dog with you is a bit of companionship." As The Block enters its 10th season, Cam is steeling himself for more tears, tantrums and "talking people off ledges". "It's so traumatic doing The Block," he said. "If I went a whole day without sleep, the next day I'm the walking dead. "But these guys seem to sort of get better at it as the time goes on, so the body must acclimatise. "When they're crying I give them a bit of a hug and pat them on the back. "When they're happy and relaxed, I just poke them in the ribs and give them a challenge or something like that." He loves the job, even if it means he is only home for one night a week for three months at a time, with his family in Sydney and his job in Melbourne. "The kids have been understanding. They understand that I'm working to provide," he said. "I always think about people worse off than me, like Defence Force people who are away for 12 months solid and out of the country. "Any project we get involved with, telly-wise, I'd like it to be a success. "Because there are so many people who work behind the scenes and it's their livelihood - it's their income. "If a show falls over... I move onto something else. But these guys and girls, they have to find another job. "We're always working hard so everybody can pay their mortgages." This piece is the final instalment part of the series, From The Heart: Aussie Icons Speak Out from Australian Regional Media.